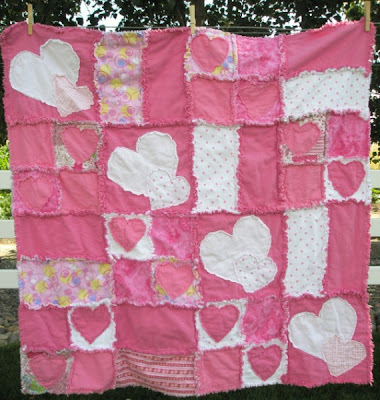 A simple and beautiful rag quilt pattern featuring appliqued hearts. This rag quilt is made with several different sizes of squares and rectangles. Its not just your boring everyday square rag quilt. I just love the way that this blanket turned out. 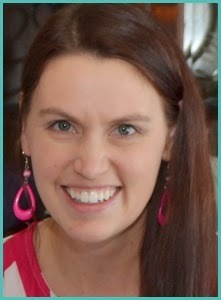 It was so much fun to do. I love coming up with new designs. 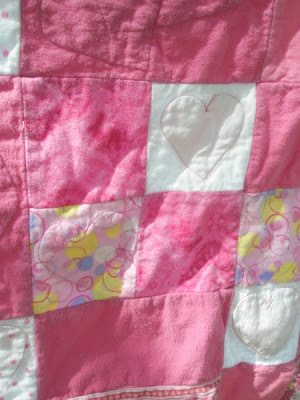 Even the back of the rag quilt is pretty with the heart appliqued stitches showing through.